Shea butter, coconut oil, brown sugar, sugar, bergamot extract and dried coriander. and/or are eaten cold due to blog photography. This one did not make it to the "before" photography stage. "After" is all that I can give you. Coffee and Cummings Studio Chocolates. Thank you All Free Crochet! To go directly to the post with step-by-step photo instructions click here. 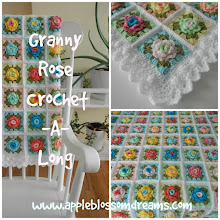 feature your scarf on the Apple Blossom Dreams blog. Do you like this color combination? I've never mixed these colors before. red oak floors and a big cushiony denim chair and a half. and most Norwegians love them. If you are served this dessert after a meal, you can be certain that you are loved! Cloudberries a top whipped cream. See recipe in Norwegian here. Mixed with a little French Pinnacle Whipped Cream Vodka and there you have it. Norway, France and the USA living happily together in a glass! 1000 Followers and a Giveaway!!! Hello my lovely bloggy friends! thank all of you for your interest in this little slice of my world. as this shop would have never existed without all of you! will receive the .pdf pattern for free. please see comment section for the lucky peeps! I hope you have many happy crochet moments! Remember if you are a non-reply commenter, please do leave a comment but additionally please email me your email address to astri.bowlin@gmail.com so the pattern can be delivered. P.S. I tried to contact follower #1000, without success. and I followed a long time ago, haha. It's like I am my own ghost. Thank you all once again for following! Sometimes it's fun to play around on the computer. 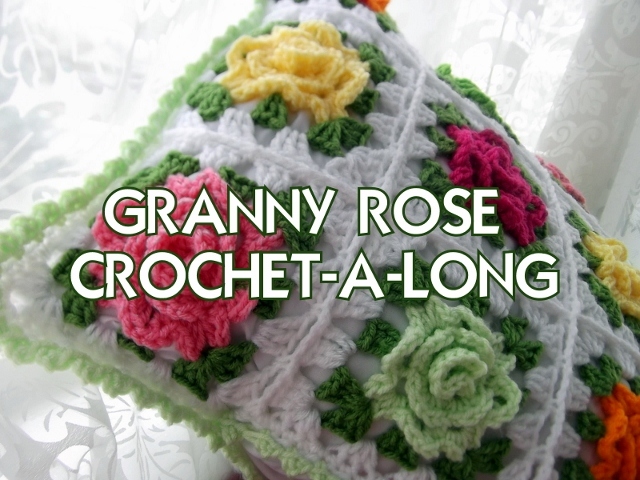 This free apple blossom crochet pattern can be found here. Just a random Friday evening bit o' fun! Black, Petrol, Green, Bottle, Matador Red, Lipstick, Bluebell, Meadow, and Royal. bright vibrant colors as listed above, all from my stash. Yeah! You see how much more Bluebell I have and how little Royal I have left? This just means I will need to have a strategy. That's easy; I will crochet more rows of Bluebell and less of Royal. Rows are random - no set pattern or this would not work. have left of each color and plan accordingly. The only rule is...no two colors next to each other. but could actually be turned into an infinity scarf at this point. That could be stunning, especially with a black coat. I sooooooo very much love this hobby. It's calming and fun, at the same time. create a cozy space to work on this hobby and this afghan. The NVO sits beside me there on the white love seat. Generally he studies Norwegian or Jiu Jitsu while I crochet. It's a very good life and I am grateful for it!!! I hope you have one that you enjoy too! I think it's time for a giveaway once that number hits 1000! 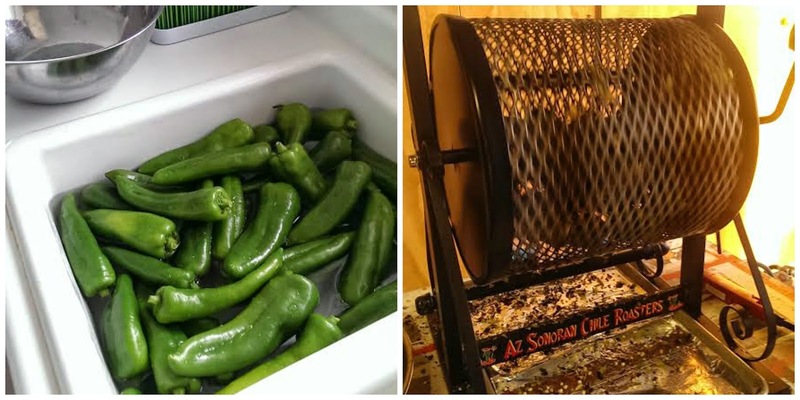 my favorite food in the entire world is roasted green chiles! 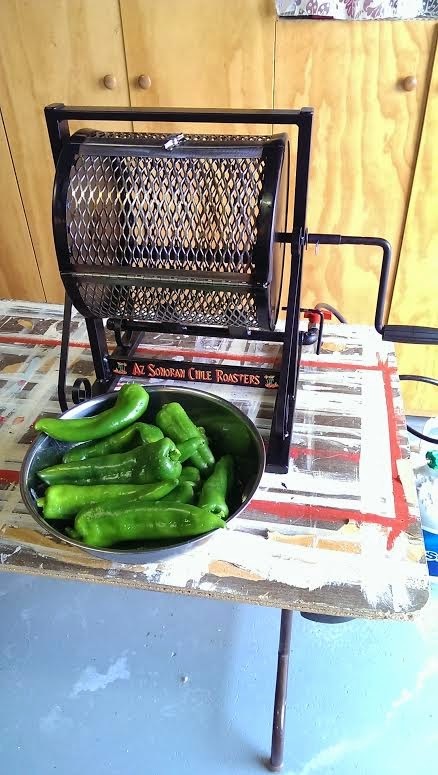 His gift of my very own personal Chili Roaster!!! UPDATE: Thank you blogging friends!!! I fixed this with picmonkey! turn on the propane and heat, turn the crank and roast away for about ten minutes. The skins slip off easily and they are very easy to de-seed. They can be used in many dishes...or may favorite... chilled, all by themselves. Have a mildly hot day! 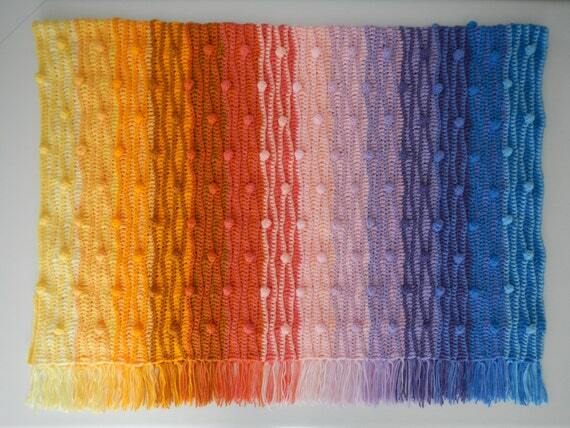 the "Towel Topper" pattern has been published!!! These instructions for the "Crocheted Towel Topper" are easy to follow. They are complete with a lot of step-by-step photos. you will likely find your friends and family requesting them. of coordinating the colors with the recipients kitchen. 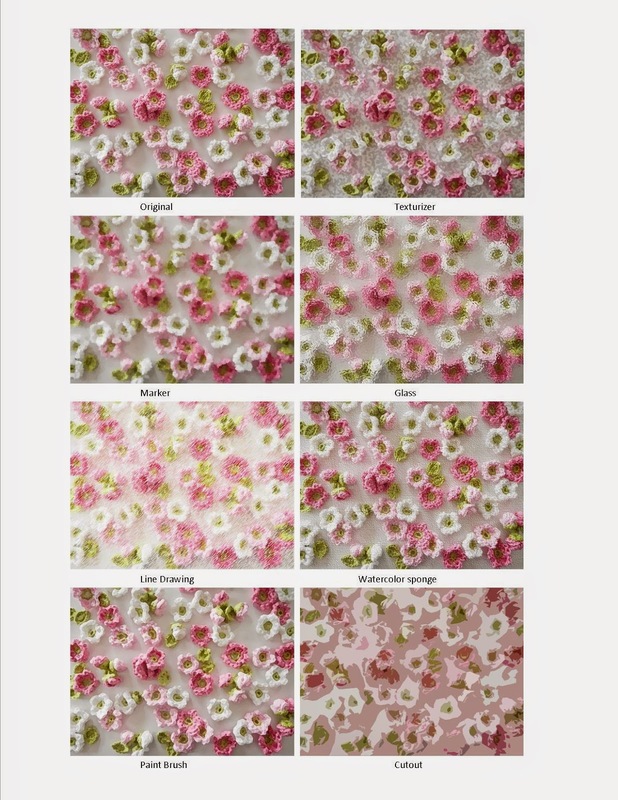 or you can use your own flower pattern or even a button, if preferred. for those of you who do not have the sharp crochet hook. and the shell trim with the blanket stitch on the back. all the way from The Quarter Stitch in New Orleans! by Michelle B. of My Daily Fiber and can be purchased here. Click on any of the three above images to take you to the blog post about that scarf. It really takes on a different look with the variegated yarn that "Little Bug" found. hence, no ends to weave! 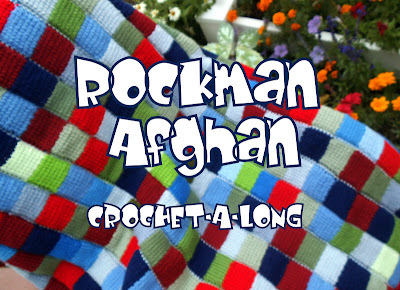 I highly recommend this pattern and yarn.